There’s no doubt dive regulators should be right at the top of your list when thinking of embarking on a diving expedition. Have you considered their real value? For devices that literally keep you alive under water I’m sure you’ll only be looking at the best dive regulators on the market. If you’re new to scuba diving below you’ll find a guide of elements to look for before making this investment. Let’s help you pick the best. What Components Make up a Dive Regulator? Now that you know what you’re working with, let’s look at a couple of considerations to note before selecting one. Looking for a bargain when trying to buy the best dive regulator might not be a bright idea. The more you spend the easier you breathe. It’s that simple. For instance, cold water regulators will cost more but they offer better free flow because of their specifications. However, never assume buying the most expensive dive regulator you can find on the market means you’ve bought the safest option. Rather opt for well-known brands. Most major brands have high safety standards. Their regulators go through rigorous tests before they’re put on the market. So your uncle gave you that air hose that’s been sitting in his garage. And all you need to do is find the remaining parts, even if they’re a different brand, right? Not quite. When it comes to the components of a dive regulator, as mentioned earlier, always use parts from the same manufacturer or brand. This ensures that they’re compatible. Are you Going for a Cold or Warm Dive? Answering this question will help you select the right dive regulator for the appropriate water temperature. If you’re diving in cold water opt for regulators which are designed to handle those low temperatures. For instance, cold water regulators have a seal to withstand water temperatures of around or below 15°. This regulator makes you breathe evenly throughout a dive regardless of other variables. For instance, if you and your diving buddy are thinking of sharing a dive regulator, you can both breathe easily without difficulties. Breathing using an unbalanced regulator becomes a challenge if you plan on going deeper into the water. If the tank pressure decreases, breathing is negatively impacted. The only upside to unbalanced regulators is they cost less to service. So, in a nutshell, balanced regulators are a bit on the pricy side. But we’re pretty sure parting with a few extra dollars to have a regulator that won’t compromise your breathing is worth it, don’t you think? How important to you is regulating the amount of oxygen the regulator gets into your body? Some regulators give you an easy, steady flow, while others offer more resistance. If, however, you prefer to control the airflow opt for an adjustable dive regulator. How Comfortable is the Mouthpiece? Even though this device is crucial for your breathing you really don’t have to sacrifice on comfort. How comfortable is the regulator to carry in your mouth? Don’t panic if it might seem heavy when you try it on at home. As soon as you go underwater it becomes weightless. That’s the beauty of science! Some mouthpieces are designed to allow you to have a natural bite. However, they don’t fit every mouth. Selecting between these two will depend more on your budget and personal preference. A piston has only one moving part attached to the first stage so it’s easier to service. Unfortunately, this setup allows for some water to go into the first stage, so extra and frequent care is required to avoid premature corrosion. If durability is your main priority then I’d recommend the piston regulator. A diaphragm is made of more parts compared to its piston counterpart. If you’re environmentally conscious, opt for a sealed diaphragm regulator. Not only is it environment friendly, it lasts longer in cold or salty water. You must however be prepared to spend a little more when servicing it. Different dive regulators come with different attributes depending on what you want to use it for. What does it mean if the first stage is over balanced? This means you’re able to enjoy excellent performance from the regulator because it increases your air supply the deeper you go. Different first stages in regulators have different pressure ports to fit your hose in. Most regulators have one high-pressure port and four low-pressure ports. What you must know is that a high-pressure hose is too big to fit in a low-pressure port. You need to establish whether the regulator has different port sizes to avoid errors. For more information on how ports work go to www.scubaboard.com. Is comfort one of your major concerns? Are you planning on being under water for a while? The size of the second stage will go a long way in alleviating some of your concerns. Some regulators come with compact second stages and this will mean a lighter physical weight resulting in reduced jaw fatigue. A regulator with a smaller second stage will also mean less dead space and thereby reducing any potential carbon dioxide build up. Now let’s find you perfect choice. What we like about this regulator is its symmetrical shape which means the octopus can be used either from the right or the left. If you’re ambidextrous or big on safety you might find this feature useful. It has minimal dimensions which is great because it makes the regulator compact. 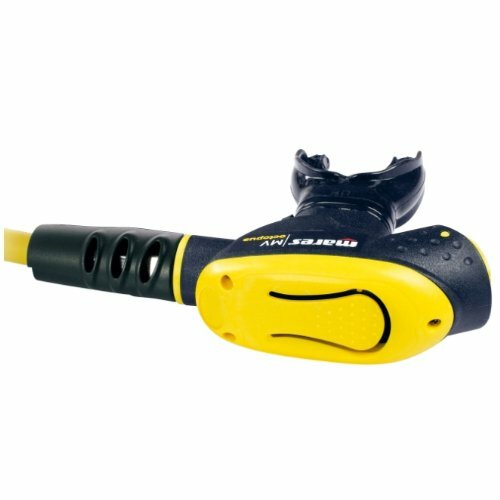 So if you want a light regulator which is easy to dive with this might be ideal. Another great feature is it has a vortex assisted design which makes breathing easier regardless of how deep you dive. It‘s made of ultralight techno polymer which protects the regulator from premature abrasion and is ideal to dive in both warm and moderate water temperatures. This dive regulator is made of titanium which is awesome because it makes it lightweight and corrosion free. It has five low-pressure ports and two high-pressure ports which is great for easier connection of your hose. This regulator swivels at the first and second stage connections. What we like about this dive regulator is it comes with a lifetime warranty and a 3-year service interval. If you’re a fan of freebies, you’ll love that it comes with a free padded regulator bag. This regulator comes with a piston first stage. The body of the second stage is traditionally sized and made of hi-tech polymer, making it very strong. Another beneficial feature is the lateral valve downstream system and adjustable orifice which makes it very simple & easy to use. If you’re big on performance you might like this regulator because a flow of pilot air is injected to the mouth piece which enhances the regulator’s performance. It also comes with a non-balanced first stage. The second stage has a flow deviator with a dive/pre-dive function. Both these features are great because they also ensure high performance levels. The regulator has an ingenious bush system which allows easy and rapid external regulation of the intermediate pressure. This dive regulator has a first stage with an air-balanced piston which ultimately delivers more air to the second stage. The performance of this regulator is not affected by changes in tank pressure, which is great. 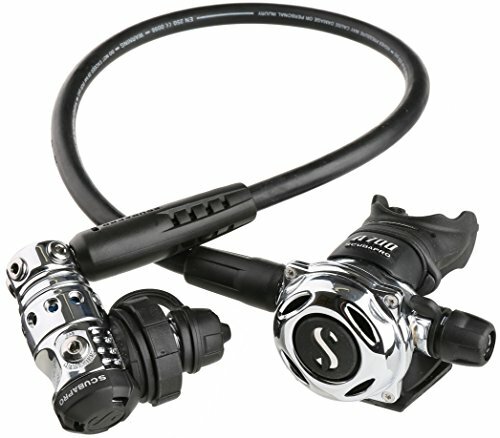 What we like about this regulator is you can use it on both cold and warm water dives. It has a chrome plated brass body and it’s able to externally adjust intermediate pressure. We recommend this regulator because it offers amazing breathing which is rated superior on the ANSTI breathing machine. This is a useful piece of information considering we all want a reliable breathing aid which has facts to back it up. Another great feature is it comes with Aqua Lung’s unique patented auto-closure device which is great because it keeps corrosive water out. The regulator has a balanced diaphragm first stage which is great because it provides you with consistent superior performance. This feature paired with the pneumatically balanced second stage guarantees smooth easier breathing. 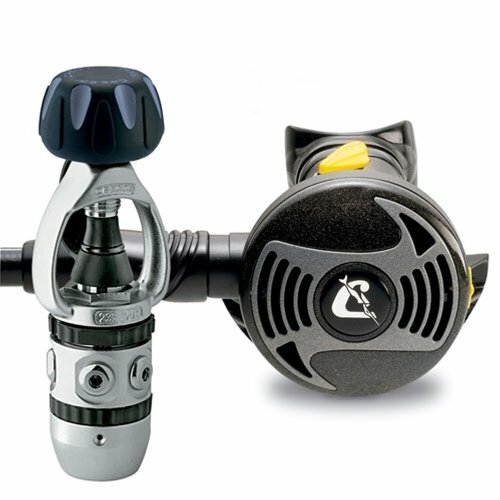 We love this regulator because it can be used by both intense and recreational divers. If you demand reliability from your regulator this might be the ideal pick. 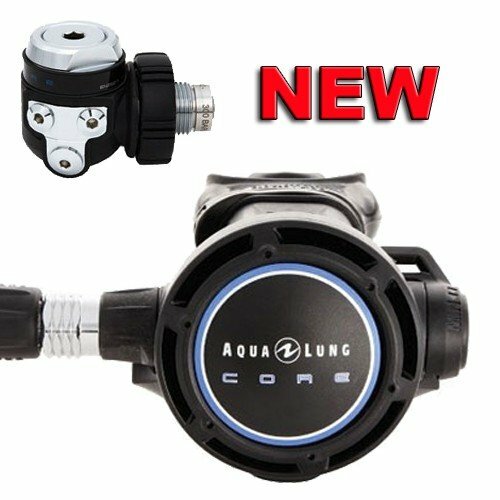 If you’re keen on preserving your equipment as well as the environment like me this could be an ideal regulator for you because the chrome plated diaphragm design is environmentally sealed. The first stage is designed in such a way that none of the internal parts are exposed to contaminants such as salt, sand, chlorine or pool acids. These environmental contaminants cause corrosion and mineral deposits to form on the internal mechanism. The second stage is made of soft material that makes it easy to push the purge button even when wearing dive gloves. No prizes for guessing there! 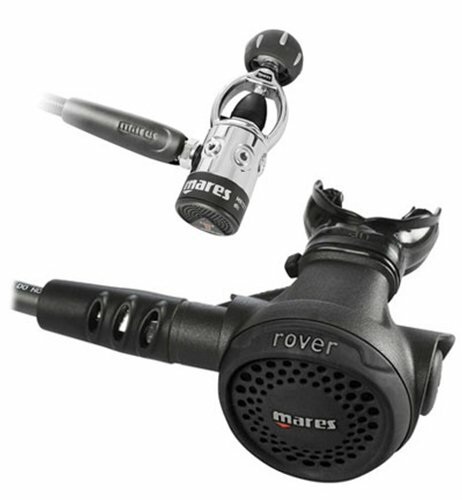 The Mares Rover 12S Dive Regulator takes the cup for us. It offers excellent performance and smooth and easy breathing. The chrome-plated diaphragm design, which is environmentally sealed, has to be one of its best features. Not only will you enjoy your dive but you will be preserving the environment as well as your regulator. This ultimately makes it durable as well. We love the versatility of this regulator because you can use it if you’re into intense diving or simply want to go for recreational diving. And for such a low price, you enjoy a maximum performance like some of its top-of-the-range counterparts. Even though it doesn’t come with airflow control properties you still get perfect airflow and can actually come up with more air than others on the same dive. It’s also compatible with a number of tanks making it easy to use in many scenarios.